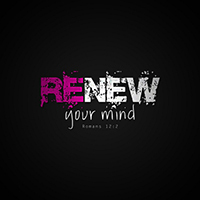 Deliverance breaks and removes things, but there is your part of renewing your mind with the Word of God. b. You can’t stay free! Spirit you will see immediately, others may take more time to show up in your life. 3. Continue to pray your daily and evening declaration prayers. You can stay free! Matthew 12:43-45. They are deceptive and will work in our mind and through others to try to find an open door or crack in your armor. Luke 4:13, When satan tempted Jesus, satan planned to return at a later time. Actively participate in a “good” church. Note: Conviction comes from the Holy Spirit. Condemnation comes from demons.
. It can take up to six weeks to develop new habits! Sometimes deliverance occurs in phases and stages. God knows what we can handle! Walkout with Cynthia Slaboda as she discusses how to sustain your deliverance. Password: Deliverance88 to view the videos.